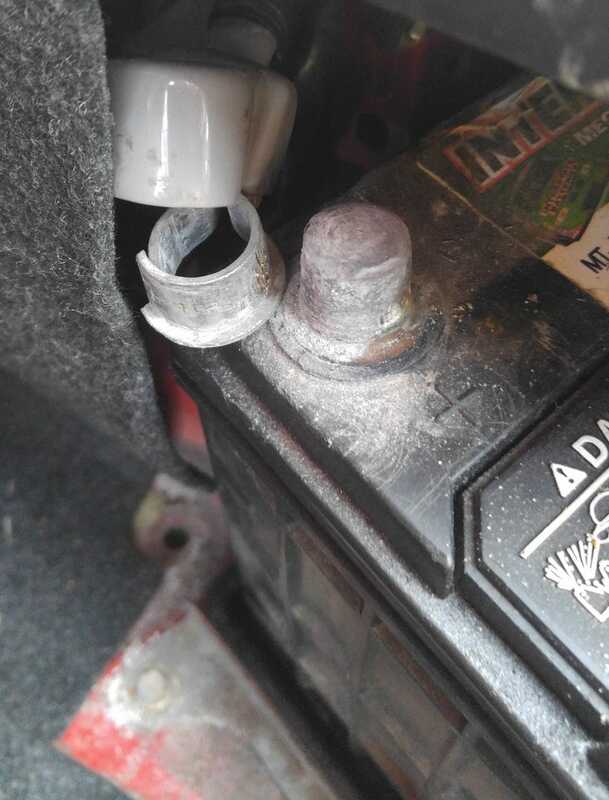 As you can see, my positive terminal cracked, so I could no longer get it tight enough over the post to start my car. Really didn’t feel like replacing the entire cable as first gen Miatas have their battery in the back so I would have to route a cable through the entire car. I did this instead. Where do I get my shadetree mechanic card..?